Gold Loan is contrary to Indian belief that Gold is another form of Goddess Lakshmi. I have written many posts related to Gold & deep routed love of Indians for Gold. Gold Loan has caught the fancy of Indians who need money at very short notice without much hassles (documentation) as selling Gold is considered inauspicious. If you go and tell someone that you have sold your Gold then according to society belief you have gone bankrupt and as a last resort you have sold Gold. 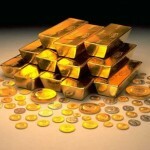 In short, Gold Loan is better option compared to selling Gold / Gold Jewellery. 1. Banks / NBFCs value Gold after discounting making charges, impurity etc. Making Charges and Impurity normally account for 20% -30% of Gross Jewellery Value. Valuation may vary between 2 lenders so it is advisable to get your Gold valued from 2-3 lenders before finalizing Gold Loan lender. 2. Assuming, value of Gold as per Bank / NBFC is 1 Lac then you will get max loan of 75k from NBFC (As max Loan to Value Ratio or LTV allowed by RBI for NBFC is 75%) whereas Bank may lend upto 85k as max LTV ratio allowed by RBI for Banks is 85%. In short, you will get max 65% of total jewellery value as loan after discounting making charges. 3. NBFC may disburse Gold Loan instantly whereas Bank may take 4-5 days to disburse the Gold Loan so NBFC are more convenient because of immediate disbursement. 4. At the same time, NBFC charge higher interest rate compared to bank. ROI charged by NBFC is 17-18% whereas Banks may charge 15-16% as ROI. Interest rates are not fixed and you may negotiate also. Recently i took Gold Loan from one of NBFC @ 12%. Mine was an exception as i knew Branch manager very well but point i am trying to make is that there is always a scope of negotiation with NBFC. For borrower its a catch 22 situation between ROI and Time to disburse. Reason for high ROI charged by NBFC is convenience and high cost of funds. NBFC though promise low interest rate but they cannot offer ROI lower than Banks because of high cost of funds. 5. Another important point to note is that if you are availing High LTV Gold Loan than the interest rate will be high and reverse is also true. 6. In some cases specially in rural areas, banks might demand NOC from the female member of the house to avoid any future legal dispute. 7. Gold Loan disbursement is credited to Bank Account by banks whereas NBFC may handover cash, if the loan value is low. To summarize, if you need instant money for very short duration then NBFC is best option but if you need Gold Loan for few years to achieve long term financial goal then Banks are best option. Gold Loan is mostly availed by self employed, home makers or house wives who don’t have any documentary proof of Income or no source of income to avail other kind of loans like Personal Loan etc. Gold Loan can be closed any time and You can pay EMI on monthly or quarterly basis . EMI’s are not compulsory in Gold Loan as you can also pay entire amount with interest in one installment at the time of closing Gold Loan. For Gold Loan availed from Bank, it is mandatory to pay interest every month, Principal amount can be paid in one shot at the time of closing Gold Loan. Banks provide Gold Loan for max period of 2 years whereas NBFC are bit flexible and can provide gold loan for 3-4 years.. As it is risky portfolio for Bank/NBFC therefore maximum Gold Loan amount usually don’t exceed Rs 10 lac. 1. Valuation Charges: To be paid to the Jeweller. Normally between Rs 100 to Rs 500 (Vary from city to city). Some banks/NBFC have in-house valuer. 2. Stamp Duty to be paid for the purpose of Mortgage. It vary from state to state. 3. Loan Processing Fees: It is normally waived off but banks charge the same. You can negotiate on this. 4. Pre-Payment Penalty: Normally there is no pre-payment penalty but better to discuss with Bank/NBFC as some Banks/NBFCs charge Pre-Payment penalty e.g. HDFC charge upto 1% pre-payment penalty. There are some other charges linked to Gold Loan like late payment, NOC etc which are normally waived off but its better to check.